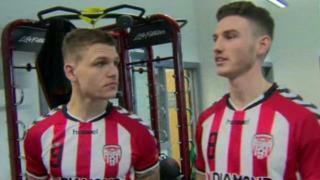 Kenny Shiels makes his first signings as Derry City manager by bringing in Scottish duo Harry Monaghan and Jordan Allan. Striker Allan has enjoyed spells with Dundee United, Morton, Montrose and Albion Rovers. Monaghan started his career at the Hibernian academy before spending time in Iceland with Vikingur.